Everytime I come back from a large scale running event, I can’t stop thinking on my ride back home about the amazing number of women running these days. Come evening, I am in the park with my kids- I see an amazing number of women who have no idea about what running feels like! Why don’t they? No the world is not entitled to my opinion, I agree! But how would they know if they haven’t tried? Curiosity gets the better of me! I suddenly want to know about the women run-revolutionaries who changed the history of running for women around the world! Who was the first woman who ran for all of us? What is her cool story? Google to the rescue! The first woman to have run the entire Boston Marathon(1966). Before this, women weren’t allowed competitive running! Gibb was also not allowed to run this one! However, she did! Ran her first full marathon in boys’ shoes size 6 because there weren’t any running shoes for women at that time!!!! Did you know that??? That is when she decided to change the course of history! She wore her brother’s Bermuda shorts and a blue hooded sweatshirt to cover her ponytail – hid in some bushes near the start line. Gibb’s run made the Boston Marathon authorities push for a rule change that would allow women to run marathons. Fast forward to today, at 73, Gibb still runs! She is still athletic! She runs an hour a day! Beat that! The Big Question : Why Should Women Run? Mood Booster: If you’ve been using a hot bottle to release yourself from your period pains every month – try running instead! The euphoria post a run is a great mood elevator and takes away all the cramps and soreness from the body! Go slow! You’ll find a happy tribe of your own: Having another woman or a group of women to run with on a regular basis really is happiness! You don’t need to discuss school, kids, home or even work. Just a bunch of good friends who connect on a long winding road of passion and fun. You’ll find plenty of motivation. Your running buddies will keep the blues away from your life! A New You? – I know of a lot of women who took up running at that time of their lives when things weren’t going well for them. A tough situation with the husband, raising kids,a lack of self-esteem, low on fitness, health issues – whatever – but they were facing an abyss in some part of their lives. Running changed things for them. It made them stronger, assertive and cleared the fog. Why? because running is about making a plan, beating yourself to achieving your target. The positives just happen to spill in ones personal life too. A Great toned and fit Body – This one is relative if you compare yourself to Steffi Graff 🙂 So don’t do that but remember running regularly is awesome for a fit and toned body. You don’t have to get into the competitive mode to get that shape. But yes do push yourself to either longer distances or faster speeds for results. No weight issues, no extra fat and a great toned look!! Howzaat??? It’s a privilege – And finally, to be able to have some me time, some time for yourself, sometime for your fitness, leaving everything behind is a privilege. I thank Gibbs for letting millions of women all around the world enjoy the love of running on streets, on dirt trails, on tracks, in events, wherever and whenever! Even though 50 years have gone by we are still fighting cheap stares, horrible remarks on the road, biases etc. but yes we have come a long way! For all the girls, mommas and girlfriends out there, run or walk a 5 or a 10 km, but accept the challenge, feel the change and adopt it. Already into running? Pull a friend who doesn’t! Together let’s feel the wind in our hair and the rhythm in our feet! loved your article. I started running a year ago to cope up with a personal issue and low self esteem. Till date completed one half marathon and a few 10kms there is actually no looking back. I am a changed person today. Running is my happy zone . Reading that makes me feel really happy! Yes once a runner, always a runner, the distance doesn’t matter, just lace up, tie your band and go! Thanks for sharing ….loved reading this blog. Hope to be running till I can like and like Bobbi Gibb. Thanks for stopping by the page, Shalini! Yes, run as long and all you want! I feel the same! It takes a bit of support initially and then we are ready to take on! Thanks for stopping by the page and reading this piece I wrote with my heart! A brilliant write up. Every bit is a realisation of some very important issues relating to self. Really thankful to Miss Bobbi Gibbs. And thank you for sharing it with us. I started running in 2017, after I broke my wrist cycling and was put off cycling for 3 months. One day I thought “can’t cycle but can run”……and that was that. Being an asthmatic, my struggle with breathing keeps my pace low but after a 5km and an occasional 10km, the feeling is priceless. That is what keeps me going. My allergy problems are at least 70% lesser, did not take even one sick leave last year and most shockingly, the bad bad Gurgaon air around Diwali has (touchwood !) not caused me breathing problem like it used to before 2017. And you are so right about the ‘me time’. I absolutely am addicted to that. 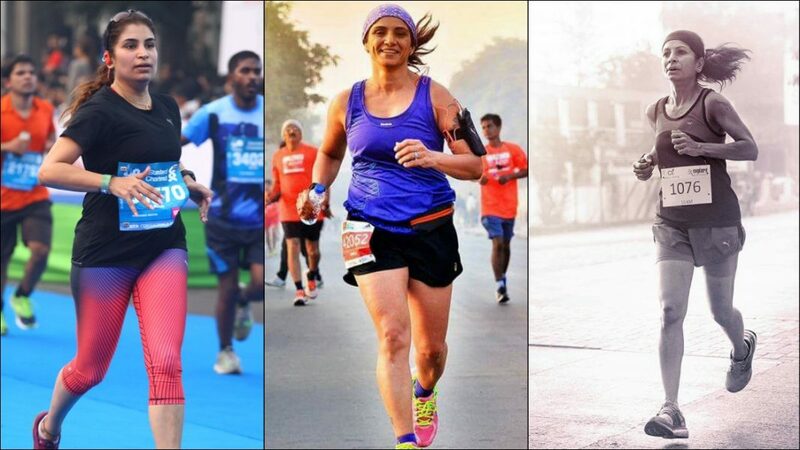 Cheers to the spirit of runners and here’s hoping that we see more and more women pickup this wonderful habit ! !